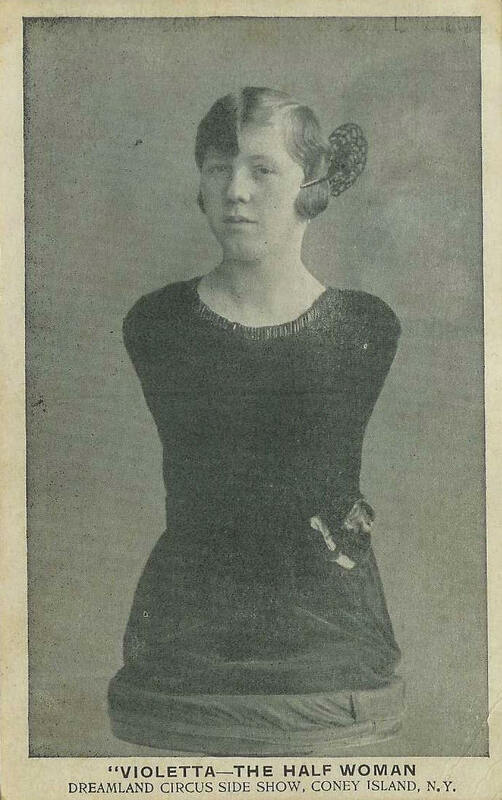 Aloisia Wagner, better known with the stage name of Violetta, was born without legs or arms with a condition known as tetra-amelia syndrome. Though her earlier years are a mystery, it is known that in April 1924, Violetta immigrated to New York from Bremen-Hemelingen, Germany, with her step brother, Karl Grobecker, and performed in sideshows as a singer, including Coney Island’s Dreamland and the Ringling Bros. and Barnum & Bailey Circus. She moved herself by hopping from place to place on the bottom of her torso, and was able to manipulate objects with her mouth enough to comb her own hair, dress herself, thread a needle, and sew. 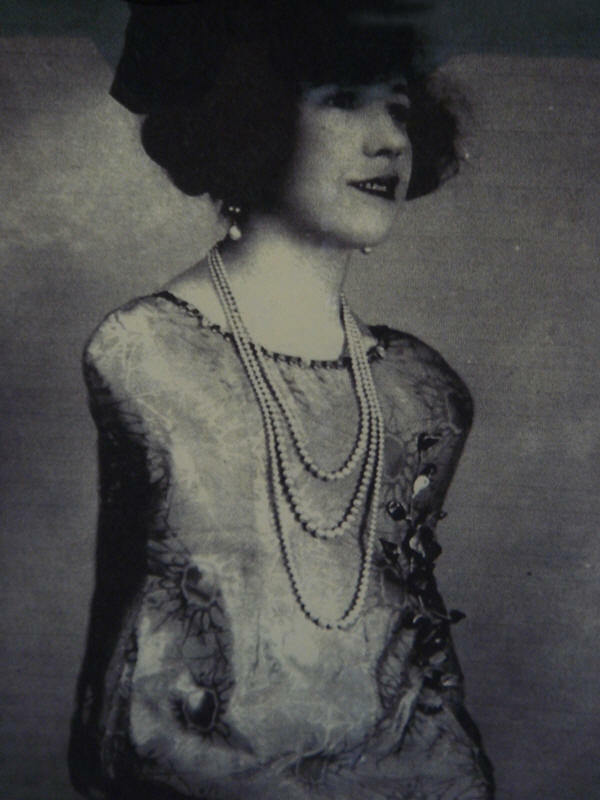 Violetta was married and wore her wedding band on a gold chain around her neck. A brilliant review of her show, written in 1940- goes into detail the sheer charm and beauty of Violetta, and the intricacies of her rather different style of performance. And, thank you for connecting with me. It’s a pleasure to meet you here in this virtual world.